Widely used in organizations large and small, Fixity is a free utility for automated monitoring and reporting on the data integrity of stored files. Fixity scans a folder or directory and creates a manifest of the files, including their file paths and their checksums, against which a regular comparative analysis can be run. Fixity monitors file integrity through the generation and validation of checksums, and file attendance through monitoring and reporting on new, missing, moved and renamed files. 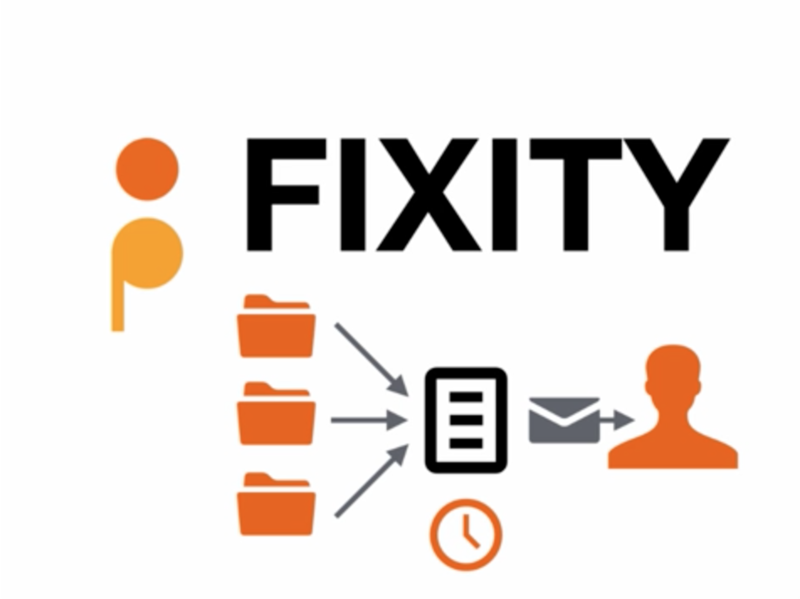 Fixity is a powerful application that supplements tools like Exactly, which focuses on data exchange, offering ongoing monitoring and reporting for digital files in repositories, servers, and other long-term storage locations. Fixity has given us confidence in the disposition of preservation files and ability to account for assets and their safe custody to management. We manage a lot of audio files (+10TB), some of these are very valuable (historical and rare radio broadcast), all stored in external HDDs... and we never considered file integrity, knowing that kind of media is very fragile and unstable. When I knew about Fixity, I added it immediately to our workflow, monitoring file integrity once a week. Previously we had nobody monitoring file integrity in our digital preservation storage system. Now the Library Systems staff can run routine checks and have reports sent to me (digital archivist).